Every golfer likes to have a clutch club or special shot they can rely on, that one option they turn to when they need some encouragement. For a lot of golfers, the texas wedge is that play. Tricky by nature, the texas wedge is a bold move if you’re not sure what you’re doing. Putting from off the green is one of those maneuvers that when things goes right, they go very right, but when they go wrong, your scorecard can take serious damage. The issue that arises for most amateurs who attempt the texas wedge is they’re unsure when the conditions are best to give it a try. 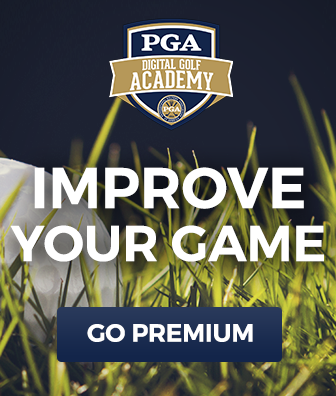 So in this video, PGA Professional Michael Breed teaches you the ideal situation for this type of shot, including the state of your lie, which is the most important factor in the decision-making process between pulling the putter or opting for your hybrid. After we’ve figured out when we should try out our putter off the green, Michael talks about the two main components of a good texas wedge shot. You’ll learn how both your point of impact on the ball and distance control affect the outcome of your texas wedge shots, and discover a few simple tips for improving your technique. If you can just get the ball to the edge of the green with the right speed and line, you stand a good chance of getting it the rest of the way to the hole. 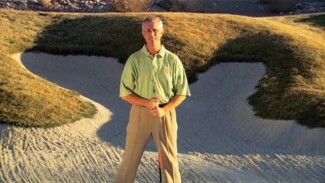 Completing the perfect texas wedge shot is a matter of mindset and execution. If you commit to the distance and speed you decide on, you’ll likely hit a good shot. 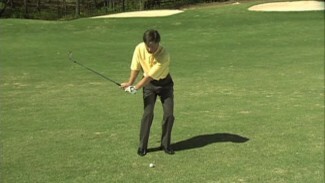 Use discretion in selecting this move, then pick your distance and focus on technique and you’ll become a whole lot better at getting the ball onto the green and on line thanks to the texas wedge.